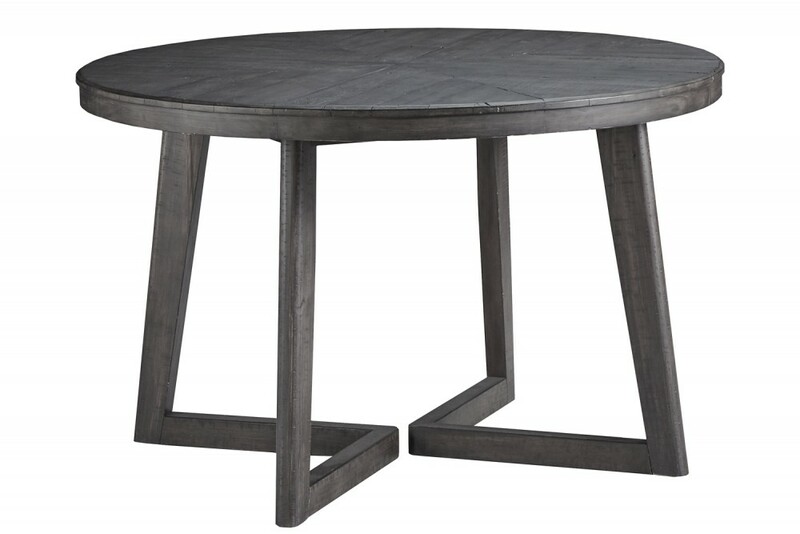 Revive and refresh your room with this round dining table. 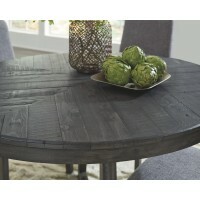 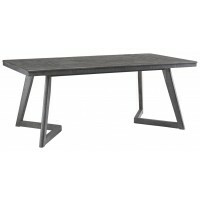 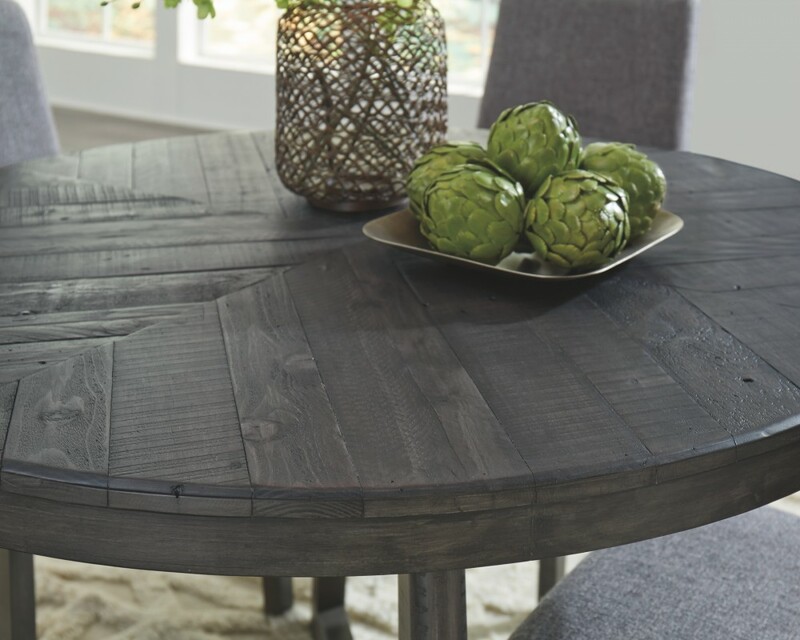 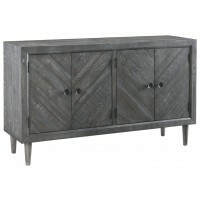 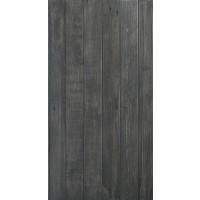 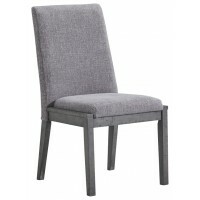 Dark charcoal gray wood is punctuated with natural distressing. 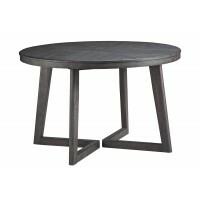 Tabletop showcases a truly modern aesthetic. 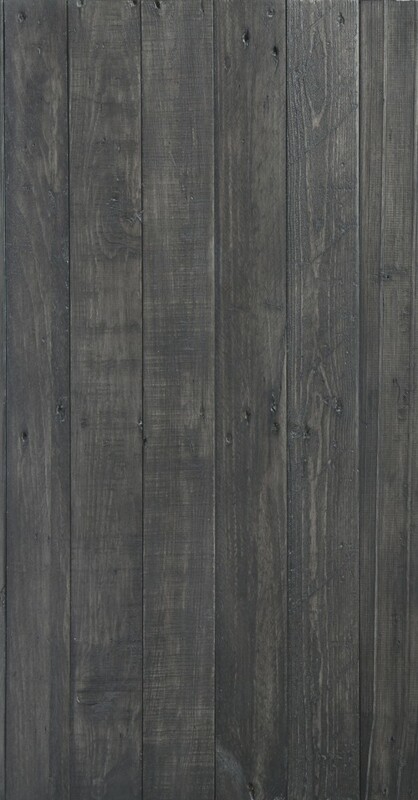 Its contemporary appeal doesn’t stop there. 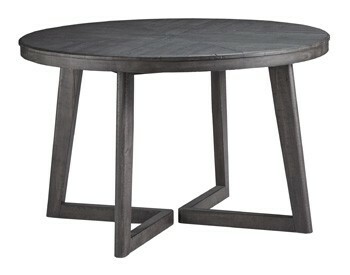 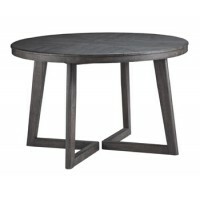 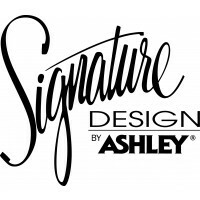 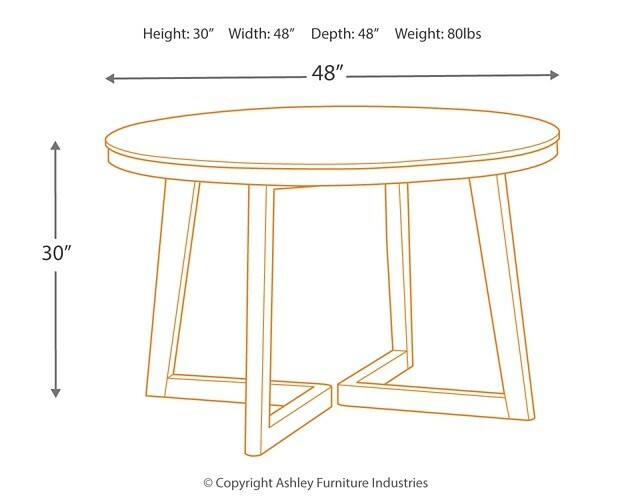 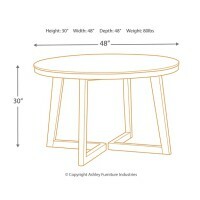 Table base has a fashion-forward sculptural design that’s sure to provide sturdy, stylish support.